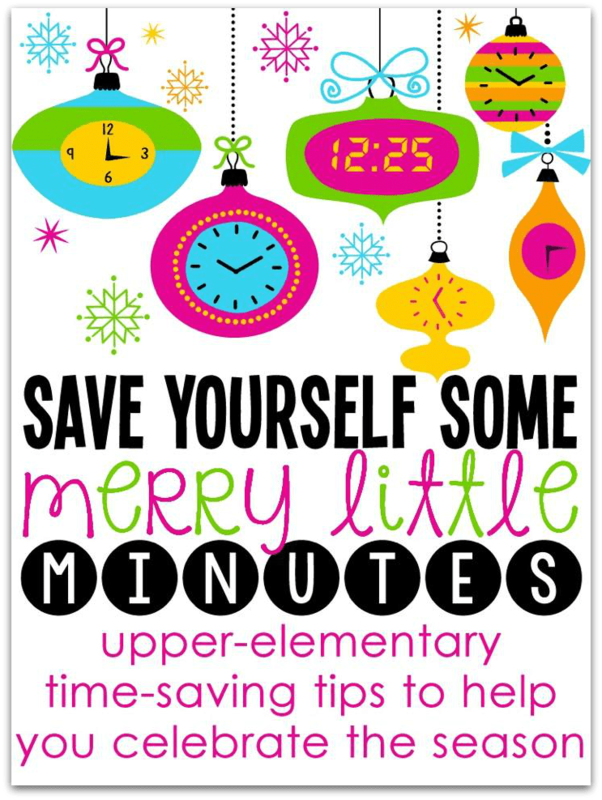 I’m linking up with some of my favorite upper-elementary bloggers to give you some time-saving tips! 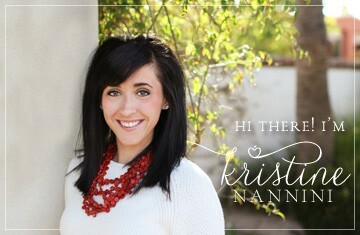 Hopefully all of our tips will allow you to spend more time with your families during the holidays! 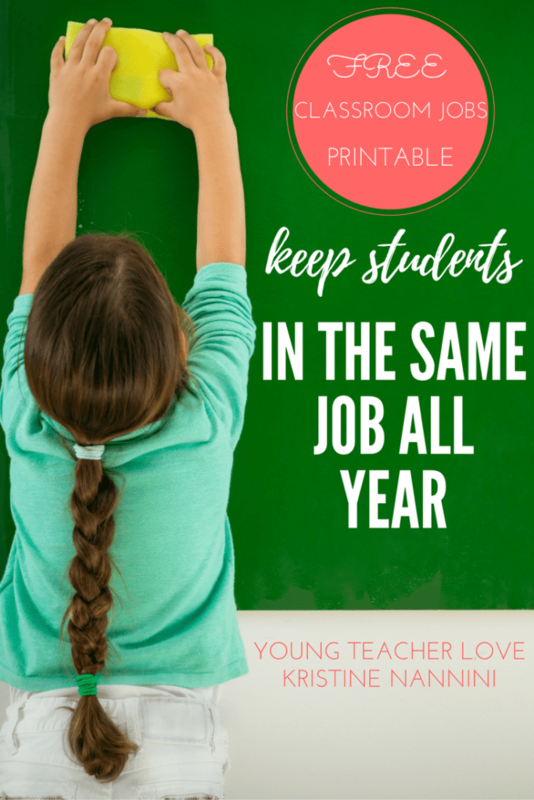 My time-saving tip is to give more responsibilities to your students and keep them in the same classroom job all year long. I don’t know about you, but it always seems like I have too much to do in my classroom and not enough hours in the day to do it. However, we have an entire classroom full of helpers all eager and willing to help their teacher out! 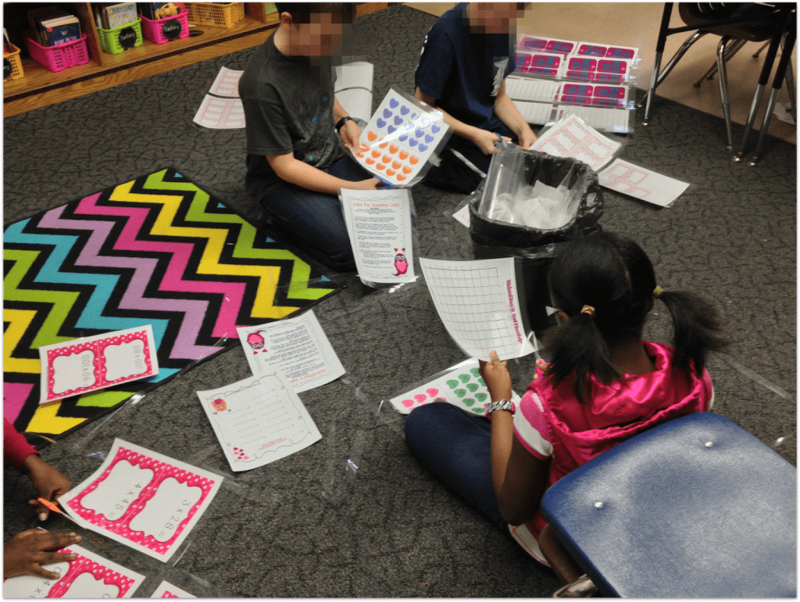 Assigning classroom jobs to students not only teaches them responsibility, but it also gives them pride and helps to build classroom community. So, why not make them more responsible? An added bonus is that you won’t be completely exhausted at the end of the day from all of the extra chores you have to do around your classroom. The best thing I ever did was keep my students in the same jobs all year long. Yes, you read that right. No more rotations, and no more new jobs every week. I assign each student a job, and they keep that job for the entire year. When I rotated jobs, students would forget to do them or not know what to do. The consistency of keeping the same job means that everyone is responsible in making our room function. I typically wait to assign jobs until I really get to know my students. Then, I introduce and model how to complete each job in our classroom, I let them apply for the job they want, and then I match students with a job that will fit them best. Some jobs happen in the morning, some jobs are throughout the day, and many jobs happen at the end of the day. But no matter what the job is, within days of assigning the jobs, every student is responsible for making our room function, and they are all so proud of this. Click HERE to check out some of the jobs my students have in our classroom. Last year, when we found out that our custodial services would only be happening two days a week, I had a parent donate a vacuum and a mop to our classroom. I kid you not, the most popular jobs were vacuuming and mopping, and the students that earned those positions were so proud to do this every single day. Oh, and the other FAVORITE job? Cutting lamination. Some would even beg to take it home to cut for me on the weekends! Besides the benefits of building responsibility and classroom community, when students each have a job and perform it well everyday, your classroom will run like a well-oiled machine. If I am ever out of the classroom and we have a sub, I know that I will come back to a spotless room, with everything in its place. With all of the holiday parties coming up, my students know that they are responsible for their room, and they will work hard to keep everything running smoothly. 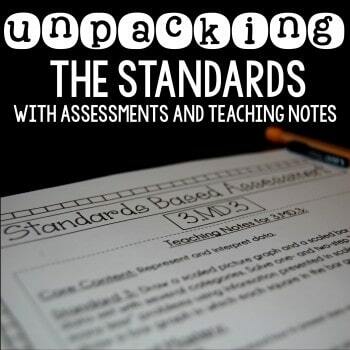 So, while it may be a small change in your classroom, try it! I promise it will leave you with more energy at the end of each day, so you can go home and enjoy more time with your family! 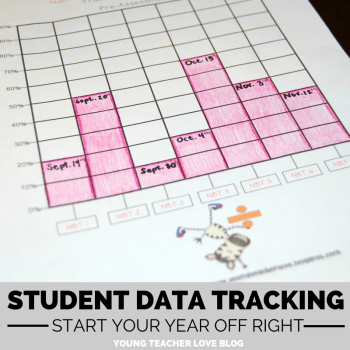 Also, check out my latest resource to save you some time! 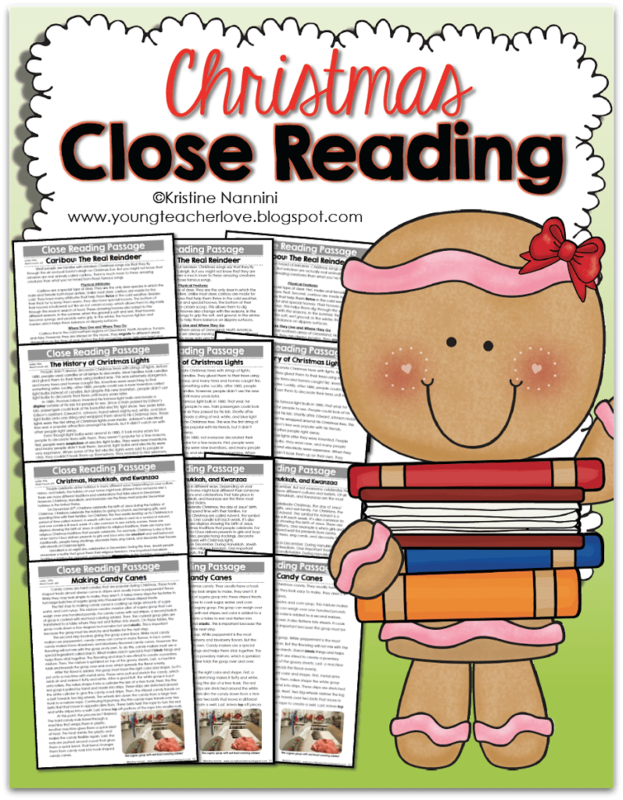 I’ve just released my latest Christmas Close Reading Passages, Text Dependent Questions & More! Visit these blogs to check out all of their awesome time-saving tips to help you celebrate the season! I love the idea of having jobs for each kid all year — my students are getting into the “classroom job funk” already this year. :( Also, can I borrow your lamination cutters for a bit?! I need to make this a job! This is such a great idea! Do you have the “job applications” that they fill out? I am seriously considering this as my 5th graders forget to do their jobs all.the.time. and I end up doing them all…. Thanks so much! Girly, this is SUCH a great idea! I really should have done that this year. I assign jobs every nine weeks, but next year…I may join your parade and go to one job all year! I LOVE that you have them vacuum! Kids are always so willing to help! Thanks a bunch!! WHY do I not have cutting lamination as a job?! So smart! Just wondering how many jobs that you have? I LOVE the idea but it seems that some kids are getting a free pass if there aren’t enough jobs to go around. Do you pair them up? Hi Deb- Thanks for your comment! Did you download my free jobs resource? 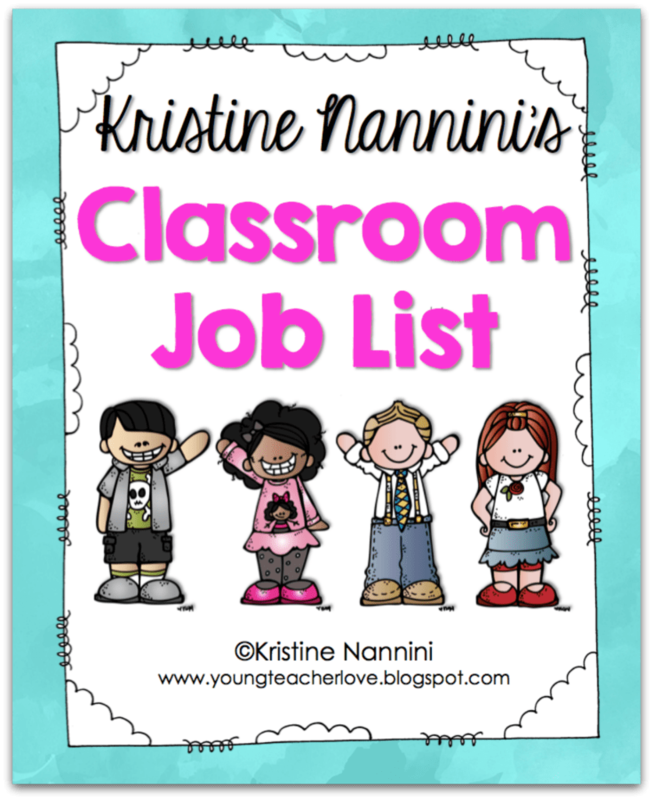 You can get a better idea of the jobs I use in my classroom in this freebie. 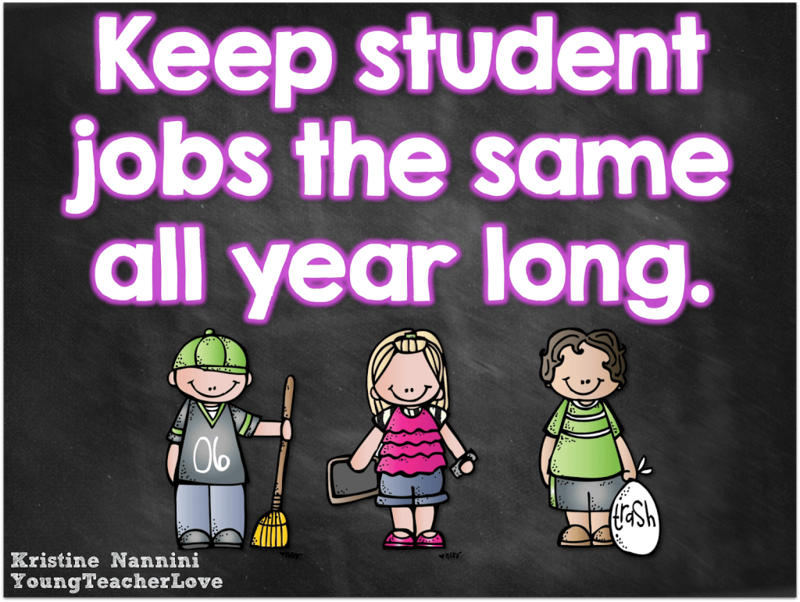 I make sure that every single student has a job in our classroom. Many jobs can be assigned to more than one student. I hope that helps! 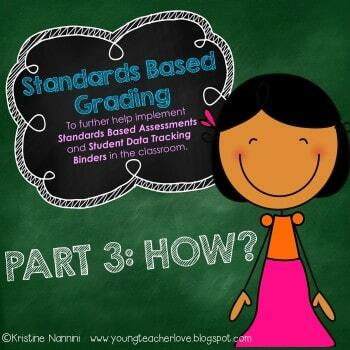 Do you think this would work with kindergarten or first grade? I’m imagining shouts of unfair or it’s my turn! Hi Brandy- My experience is with upper-elementary students, so I really can’t give advice on lower-el. Sorry! For younger ones, I have tired switching the jobs each month (same time I change the calendar) . This gives the firsts and younger an opportunity to really know the job before learning a new one. Plus it gives them an opportunity to teach the next student how to do their job when the next month comes around. Hope this helps.